Whaaaat?! A beauty post?! Yes, it's that once-in-a-blue-moon time when I whack out a beauty post, eek! First thing first though, I am not a beauty guru of any kind. I'm really trying though. Second thing. I know my skin is not nearly perfect or amazingly clear from spots and discolouring. 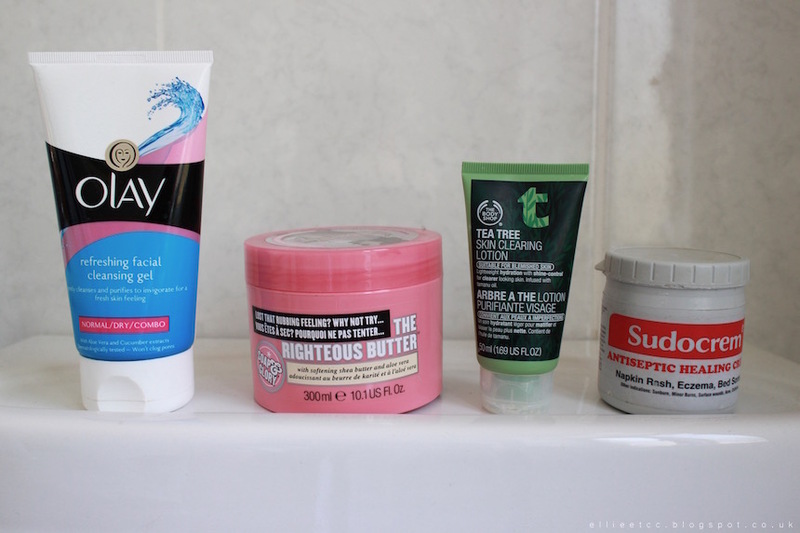 But I definitely feel it could be a hell of a lot worse than it is, especially if I wasn't using these products. As some of you may know from my most recent CURRENT OBSESSIONS post, I've got very into watching YouTubers lately, so I've been getting tips from there. Plus one of my new housemates is very into beauty, so she's like my personal live-in make up artist/beauty guru. So potentially the beauty posts my be on the rise? This simple looking creation was a find in Savers. Savers is amazing. The South isn't graced with its presence - as far as I know anyway. If there's one near you and you've never been GO RIGHT NOW. If you live in the South, hop on a train and get yourself up North. It's just amazingly discounted beauty/toiletries. It's great. Seriously go. Now. Anyway back onto the real subject. This Savers find from Olay has really made a difference. I feel, cleaner? Which sounds weird, but it's such a better way to remove make up than a cleansing wipe. I can't really explain it. But I think it's working. The Body Shop is one of my favourite shops, I think it's just the massive range of fragrances and unique ingredients. 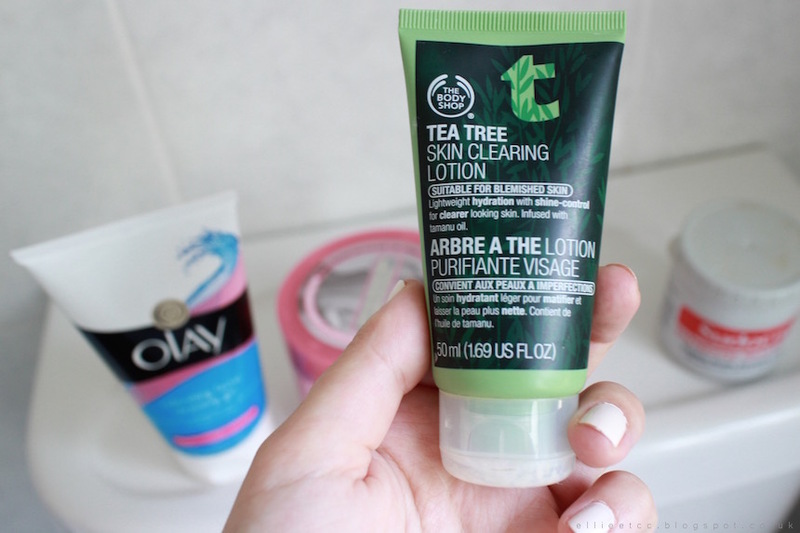 This tea tree lotion is genuinely a holy grail item. I've been through at least 10 bottles. It just really clears my skin and keeps my spots at bay. Plus it lasts for such a long time for such a small bottle. Loads of my friends find this really weird when they see me using it - I think it's got something to do with the packaging saying it can be used for nappy rash.. 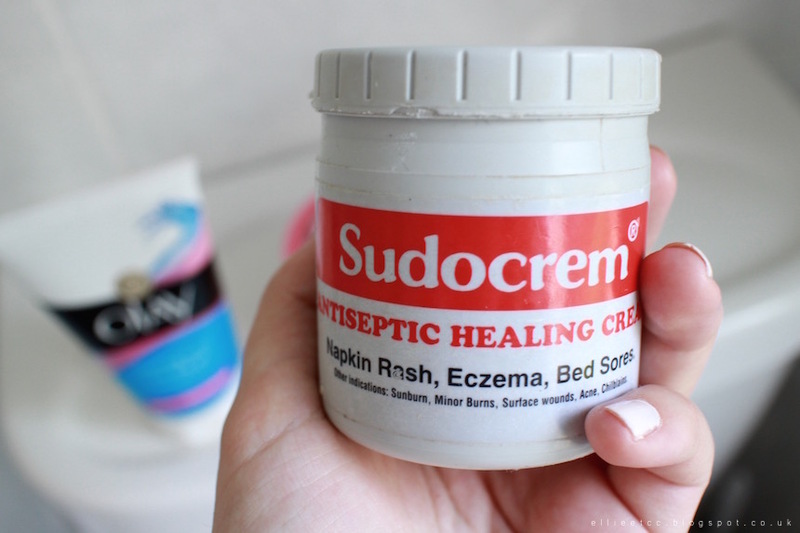 Anyway, despite all that, SudoCrem has always been a firm favourite, it's so good for really hard skin (I'm talking feet/elbows/knuckles - I don't have super hard skin on my face, I think that's something a doctor should be looking at..). It also is great for dabbing on a naughty spot or two. The final product is an all-over-body-skin-product. It smells amazing I adore Soap & Glory scents. This body butter has the perfect thickness, making it perfect to tackle really rough skin, but still okay to bathe yourself in and not feel too weighed down by it but still feel silky smooooth. There are a few more bits and pieces that I use, but these are the most regular and favourite four. What are your skincare favourites? Or any tips for keeping healthy skin?